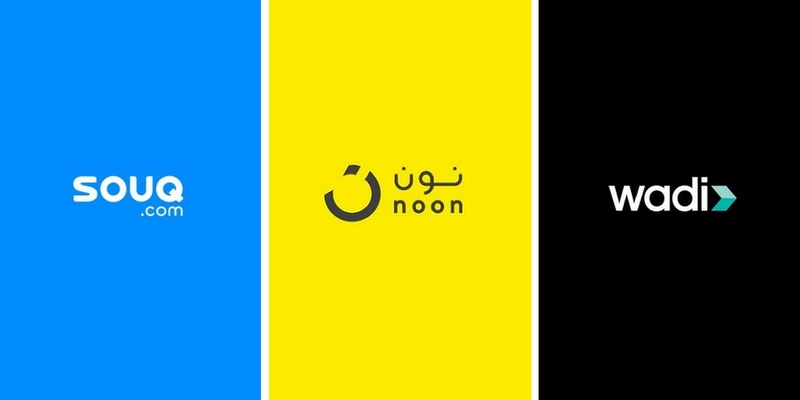 After almost ten months of delay, Noon.com finally launched in UAE. Founded by Emirati real-estate tycoon Mohamed Alabbar and backed by Saudi Public Investment, Kuwait’s Alshaya and many other investors, there was a lot of hype around Noon since it was announced in November last year. A lot has changed in the eleven months Noon took to launch its platform, since making the investment in November 2016. Amazon acquired Souq.com. Alabbar’s Emaar Malls bought 51% stake in Namshi. There are rumors about Wadi’s possible buyout by an international player. All these things are great for people of the region as they have more options to choose from. In order to help you with these options, we have analyzed the prices of mobile phones, laptops, smartwatches, and tablets on Souq, Noon & Wadi. They’re only to give you an idea. We compared six latest flagships including iPhone 8, Note 8, Galaxy S8. There is not a very big difference in prices with some of the phones priced exactly same on two of the three websites. But if we are to judge them by best prices offered no matter small the difference is, Noon is the winner here. From the six phones, we compared, Noon offers the best price for most of them. Laptops had a surprise for us. We compared five latest laptops from the big brands including Apple & Microsoft. The price difference here is way more obvious than what we saw with mobile phones and there is one clear winner, Wadi. It has the best price for three out of five laptops that we compared. For MacBook, Wadi, in fact, offers the ‘Best Price Guarantee’. There were not many tablets that were available on all the three platforms. iPad 2017 & Galaxy Tab S3 are the only two we could find on all three of them. Just like mobile phones – there seems to be not a big difference in prices of tablets as well. But for what we could compare, Souq.com seems the winner. Not a big collection of Smartwatches either. However, there are tens of variants of Apple Watch available on all the platform. We compared the prices of only two watches; Apple Watch Series 2 & Samsung Gear S3 – extremely thin difference in the prices but Wadi takes the crown. From what we have seen, it seems that the difference in prices for most of the products is not big enough for any of the platforms to lure in customers, apart from laptops where Wadi stands out as a clear winner with great prices. All the prices are valid as of 4 AM UAE, October 2nd.